Been struck down with FOMO? 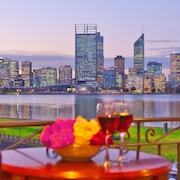 Spoil yourself with a getaway to South Perth. Situated 3 kilometres from the centre of Perth, it's one the best places to stay while exploring Western Australia's capital. If it's your first trip to Perth, you won't want to miss Swan Bells Belltower. Don’t stop there though. Kings Park and Botanic Garden is another top sight to tick off your never-ending bucket list. Wandering around South Perth and its surrounding area usually involves visiting the Perth Mint and Kings Park War Memorial. Too knackered to travel for miles? On the lookout for a hotel near Swan Bells Belltower? Easy. 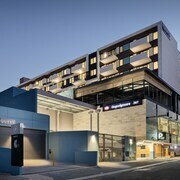 Try The Richardson Hotel & Spa, Quest South Perth, The Terrace Hotel, Duxton Hotel Perth and Mantra on Hay. If you want to stay nearby after experiencing the Perth Mint, the Fraser Suites Perth, Mounts Bay Waters Apartment Hotel, Hyatt Regency Perth, Assured Waterside Apartments and Adina Apartment Hotel Perth - Barrack Plaza are all recommended choices. Head over the water to Heirisson Island and see what you can discover. Once you're done exploring, rest up at a seriously comfy hotel nearby. 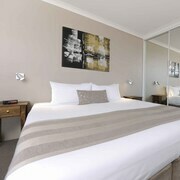 The Crown Metropol Perth and Crown Promenade Perth are two awesome options. World Australia Cricket Association Museum is a sports gallery for enthusiasts of any age, so the whole family can come! You'll also find good accommodations within close range of this attraction, such as the Verandah Apartments and Four Points by Sheraton Perth. Saved up your pennies for mind-blowing adventures and just want to use your hotel as a base? We get it. 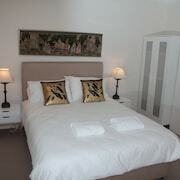 But, that said, sometimes your hotel can be the experience! If you're convinced, splash a little more at the Peninsula. 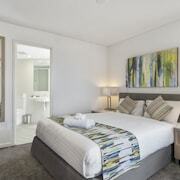 If you can't seem to find the ideal South Perth hotel room, it's worth looking at the accommodations in Perth Central Business District and Victoria Park. Whether you'd like your vacation in South Perth to be carefree or packed with rip-roaring adventures, we'll give you a hand! Just a few more clicks and you'll be able to start packing!